The stealthy consumer Internet startup Dashlane, which had raised a $5 million Series A back in September, is today coming out of hiding with the launch of its public release. The company is offering a personal data assistant that aims to speed up access to websites through password-saving and online form-filling features, but, as hinted earlier, there’s more to it than that. There are two key features Dashlane offers which put it above the everyday password manager: instant logins and support for automatic checkout on e-commerce sites. To better explain what those mean, lets start with what Dashlane actually is: it’s downloadable client software for the Mac and PC which enables you to store your online credentials (logins and passwords to websites), personal information (name, address, phone, etc.) and financial information (credit cards, debit cards, etc.) for fast and easy form-filling and auto-logins and more. But its best feature is its ability to speed up the online checkout process. Checkout is still a huge pain point for both consumers and merchants alike, explains Liautaud, as at least half of buyers abandon their carts during checkout. “People get annoyed, they get distracted, or they stop because they have something else to do,” he says. 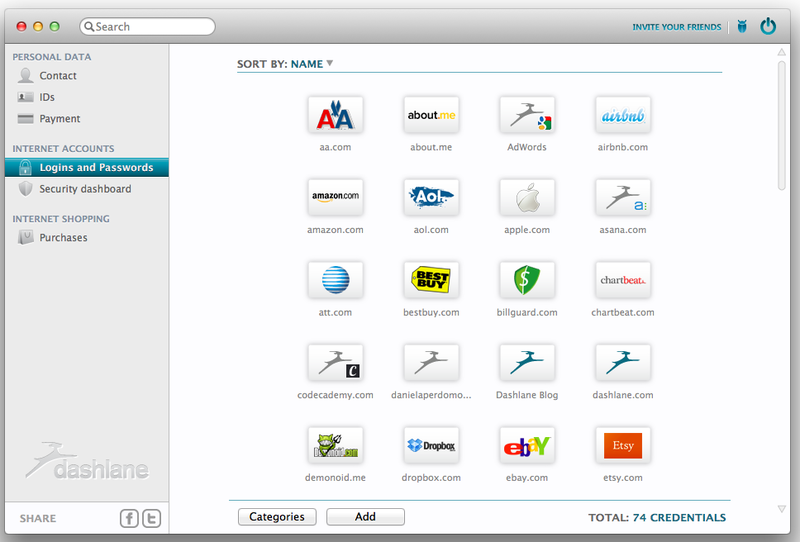 Of course, in order to automate checkout, Dashlane needs to store your personal data. And that data, secured by your Master Password, for obvious reasons, is encrypted (via AES-256). But here’s a key point: that data stored in its encrypted format on your own hard drive. It’s also encrypted on Dashlane servers. But the encryption key for decoding the data – the Master Password – isn’t stored anywhere. It’s not saved on your computer or by Dashlane. In other words, fair warning: when you create the Master Password, you had better remember it, or you’ll have to start the process of setting up Dashlane from scratch. When you first go to install the software, it walks you through several steps, one of which imports all your saved username/password combos from your other web browsers. 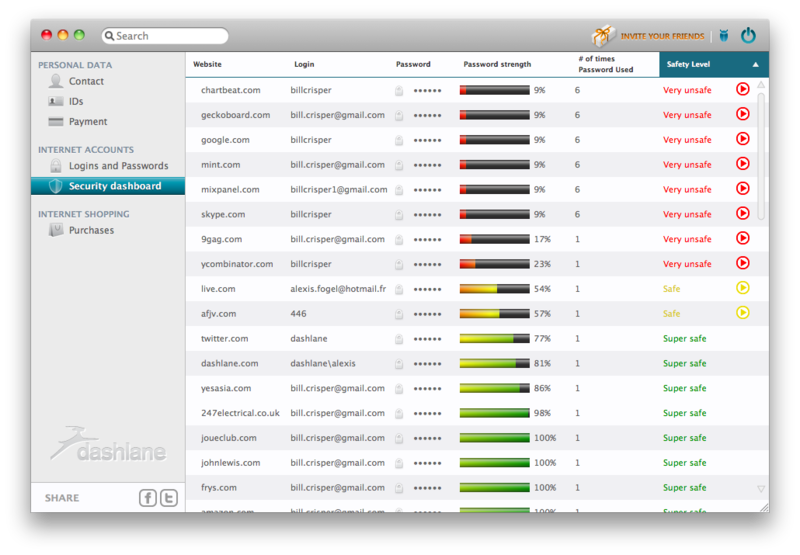 When complete, Dashlane’s security dashboard will provide you with a complete report on how secure those passwords are using visual indicators of their relative strengths or weakness (red, yellow, green). It also shows you how many times you’ve used those same passwords across the web, and lets you change them, if need be. It can even auto-generate new strong passwords for you. After you’re set up, when you visit a website where Dashlane has your stored credentials, you can use the software’s automatic login option to save you the extra step of entering in data or even having to click the “login” button – it does it all for you. However, one of the most impressive features of the new software is the auto-checkout option mentioned above. There are two levels to this service. The first, Dashlane Checkout, simply helps automate the form-filling necessary during checkout using the saved personal and financial information already on file. The second level, Dashlane Express Checkout, lets you pre-select all the information necessary at the start of the checkout process, allowing Dashlane to automate filling in information and moving from one screen to the next. (It pauses at the end so you can verify everything is correct, lest it seem too magical.) 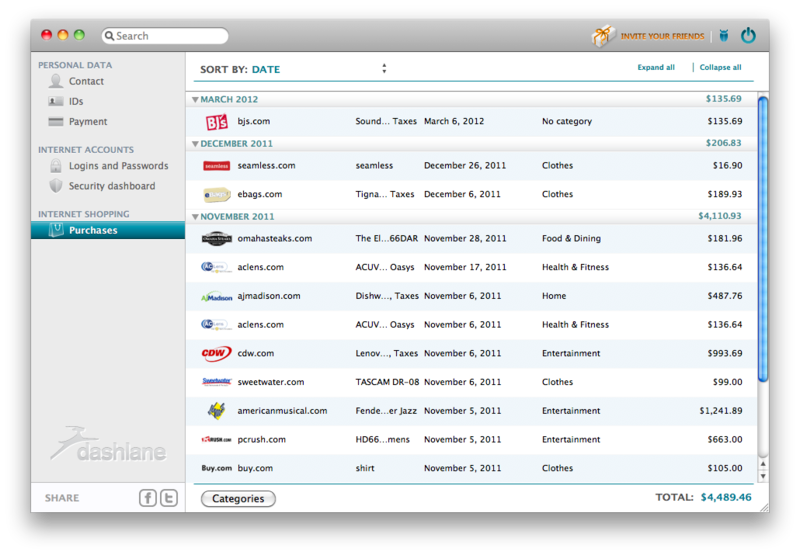 This feature is live now on 500+ popular online shopping destinations. Dashlane also keeps a history of your purchases – including screenshots of each step at checkout – within the software so you can refer to them if there’s ever a problem with a merchant. The company is the second to be founded by Bernard Liautaud, and he serves at Dashlane the visionary leader. 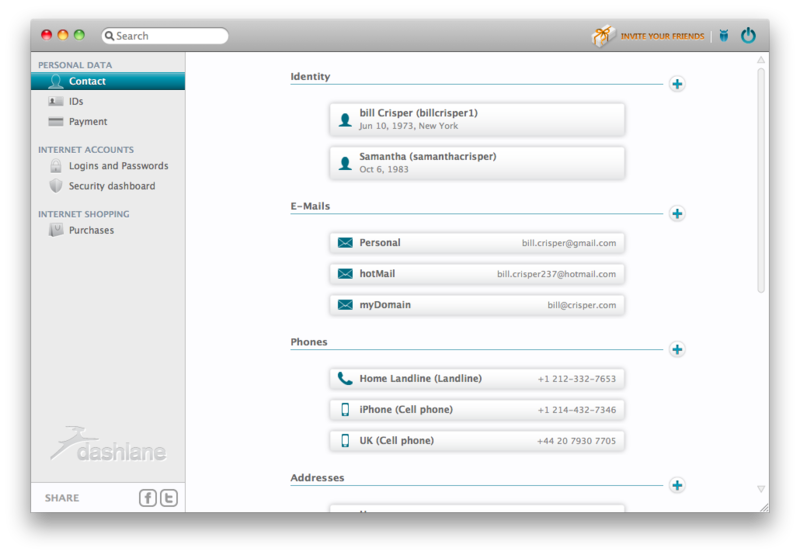 However, the day-to-day is handled by Dashlane CEO Emmanuel Schalit. Other co-founders include Alexis Fogel, Guillaume Maron, and Jean Guillou. The team of 25 is based both in Paris and New York, where they’re now working on the mobile applications for iOS and Android. The company raised its $5 million Series A from Rho Ventures and FirstMark Capital in September.